When I was younger we used to camp at least two times a month. It is one of my favorite childhood memories and honestly one of the only quality times we had spent as a family. The boys are finally at the age where they can get active in sports, camping, and taking trips to the beach. Our Summers are perfect for the beach, pool and water park trips. And our Falls are perfect for trips to the playground, tailgating, camping and bonfire weather. 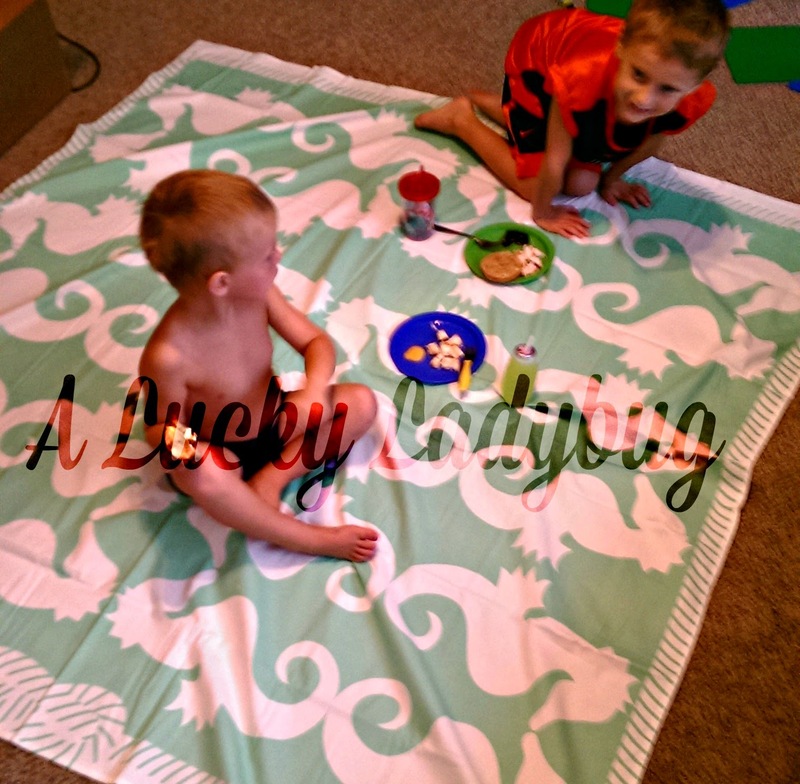 So when I was recently asked to review a Beach Sheet from Beach Road Designs, I knew it would be the perfect time to do so. Although Michigan doesn't allow for a long summer season, you will find us outdoors six out of seven nights a week. There is just something about spending that time outdoors. 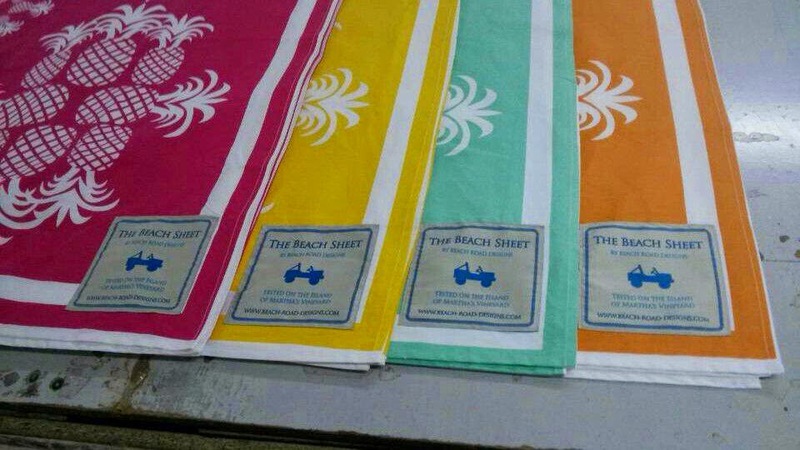 The Beach Sheet is a 6’ x 6', 100% cotton beach blanket. Don't misunderstand me though when I call it a blanket as it is not bulky, heavy, or a pain to lug around by any means. The beach sheet is a completely machine washable sheet which is big enough for your family to lay on quite comfortably and still fold up and take back and forth with you wherever you decide to go. 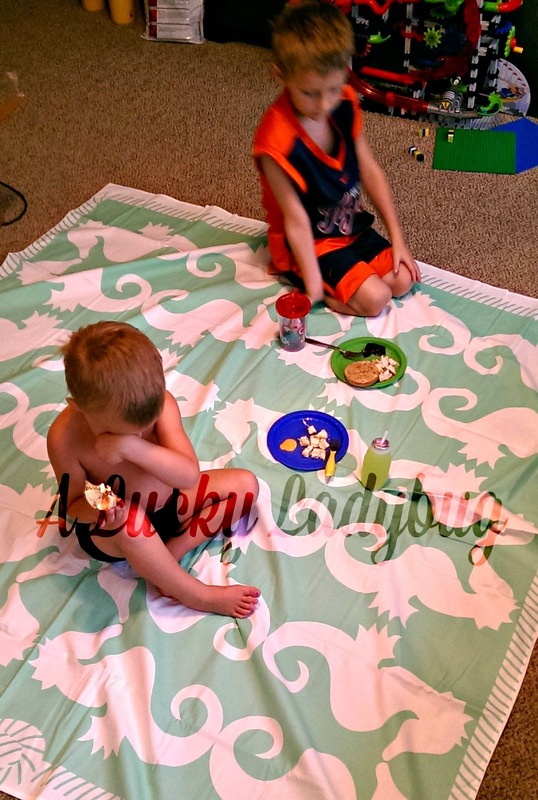 While I have been using this for the boys tee-ball games as a blanket to sit on, we've also used it (as you can see from my pics) for our family picnics indoors. This comes perfect with a bag for easy transport which we've been using most every where we've gone in the past few weeks. We chose the beautiful Seahorse Design and absolutely love it! Recommendation: This is seriously one of the best products for any outdoor lover! This is going to last a long time and while a bit pricey, well worth the cost. This would make a great gift idea for the outdoorsy person in your life. 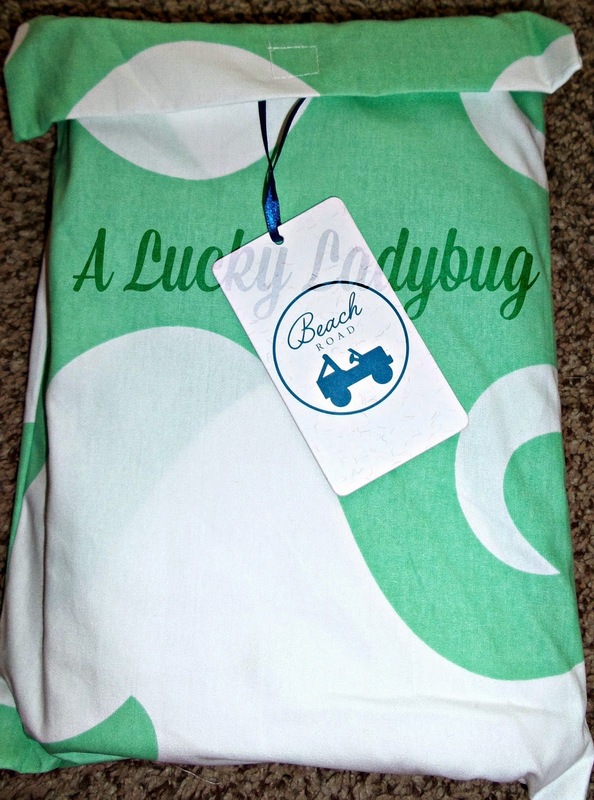 Giveaway: Beach Road Designs is going to give one of A Lucky Ladybug's lucky readers a Beach Sheet to have of their own! We usually don't travel for the Holidays. We stay around. I usually don't travel for the holidays but I went to Hong Kong once.